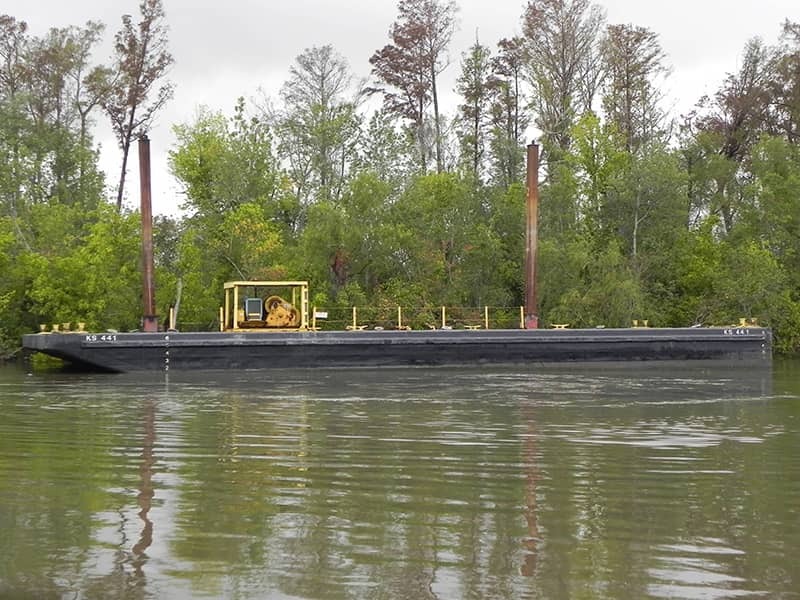 McDonough Marine Service has a large and varied fleet of flat deck barges available for charter. 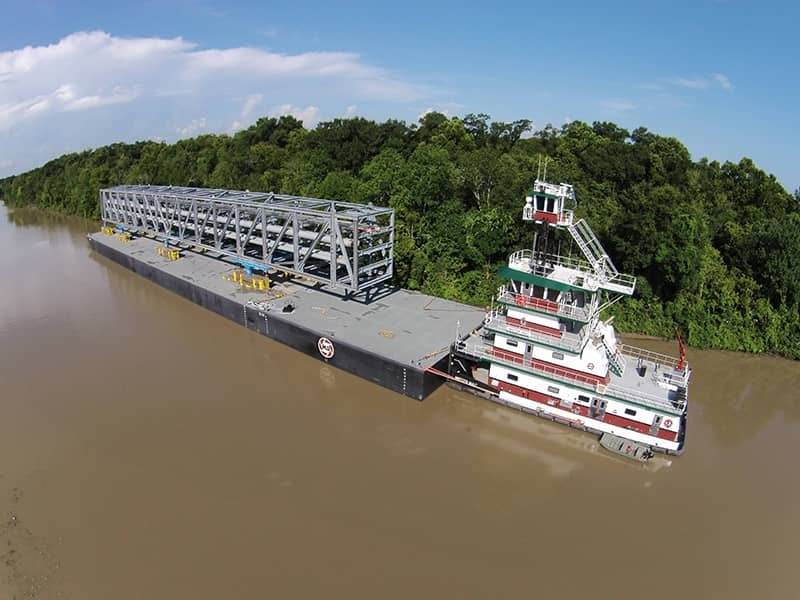 These barges are designed to carry cargo on deck and differ in size and structural design, depending on their intended use. Deck cargos include pipe, piling, fabricated structures, equipment, rock, palletized material or even horses, cattle, and rocket boosters. In some instances, certain liquid cargos may be carried in the interior watertight compartments. Deck barges are also used as work platforms for workers and machinery, thereby serving as an extension of land. Some of these barges may have raised rake decks. 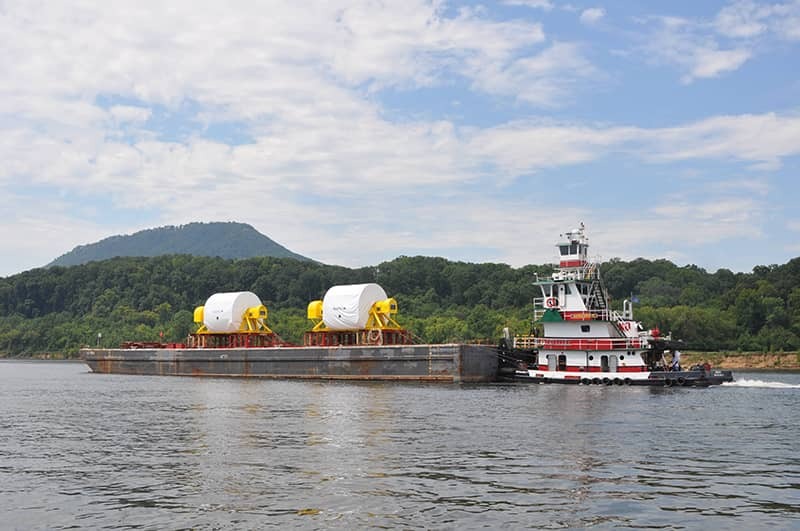 Please contact us for more information on the capacity, load marks, and dead weight of specific barges. *some of these barges have spudwells. 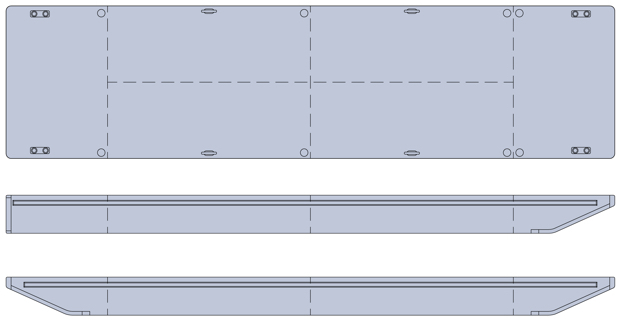 These sketches are typical of flat deck barges. Number and arrangement of bulkheads may vary with size of barge.